As you sit sipping ice tea in your air conditioned home in comfort on a hot August day, you can thank a poor farm boy for this modern miracle that revolutionized how we live and work. “The Father of the Modern Air Conditioner,” Willis Havilland Carrier, was born on November 26, 1875, on his family’s farm in the small town of Angola, New York. From a very earlier stage in his life, Willis loved to tinker with machinery – sewing machines, clocks, and tractors. He was a gifted math student and a master problem solver, and he dreamed of bigger things than life on a small farm. In 1901, he graduated from Cornell University, with a Master’s degree in mechanical engineering. His first engineering job was at the Buffalo Forge Company, with a starting salary of $10.00 per week. This was the beginning of a story that would literally change the world, as we know it. At the Buffalo Forge Company, which manufactured heaters, blowers, and air exhaust fans, Carrier’s title was Heating Engineer, in the newly created Experimental Science Department. The first task the company assigned him was dealing with a problem at a Brooklyn printing plant. Due to the heat and humidity, the ink would not dry properly in the summer. On a foggy night, while waiting for a train, he pondered the relationship between temperature, humidity, and the dew point. So, in 1902, Carrier designed a spray driven air conditioning system. Willis continued to improve his invention in the ensuing years, and, in 1906, he patented his “Apparatus for Treating the Air,” which not only controlled the heat, but also the humidity. By 1914, Carrier had designed and installed air conditioning systems for numerous manufacturing plants, department stores, factories, breweries, bakeries, and food processing plants. In 1915, with $3,200 from their savings, Willis and six other engineers created the Carrier Engineering Corporation. The company was originally located in New Jersey, and its mission was to improve and revolutionize air conditioning technology. The first air conditioning units the company produced were large, expensive, and dangerous, due to the highly toxic ammonia that was used as a coolant at the time. 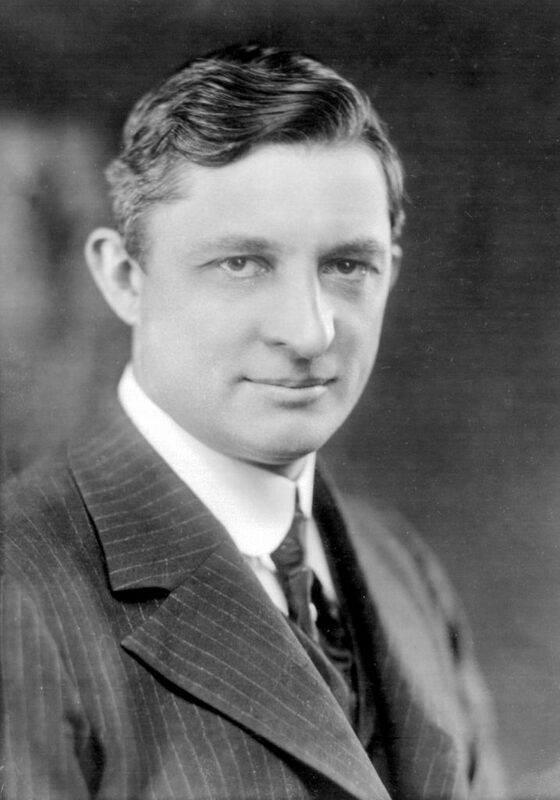 In 1922, though, Willis Carrier made two critical breakthroughs. First, he replaced the toxic ammonia coolant with a much safer coolant, dye line. Then, he greatly reduced the size of the units. He went on to install air conditioning systems in Madison Square Garden, the U.S. Senate and House of Representatives buildings, and the White House. He also installed the world’s first residential air conditioning system in a home in Minneapolis. His company eventually went on to design air conditioning systems for buses, railroad cars, planes, and atomic submarines. In 1930, Carrier moved his company’s headquarters to Syracuse, New York, where it is still located today. Willis Carrier’s company not only kept American’s cool, but also contributed greatly to Allied efforts during World War II. Carrier air conditioning and refrigeration equipment was used for warships, cargo vessels, munitions plants, and factories specializing in the production of such essential war material as bomb sights and other precision instruments. Carrier also made thousands of refrigeration units for walk-in coolers, which were used by the U.S. Navy to keep food and other perishables fresh. For his contribution, Willis Carrier was honored by the U.S. Army and Navy on numerous occasions. From its modest beginnings, Carrier’s company has grown into a huge global corporation and has become a name so many of us have come to rely upon to help beat the heat. In the 74 years that Willis Carrier lived, he radically changed America. No longer are sleeping porches and wide verandas the only escape from the heat in the South. His invention also helped create the area we call “The Sunbelt.” Thousands of people have moved into the South and the Southwest, bringing with them economic growth and cultural change. Working conditions in factories are safer and more humane with air conditioning, and heat-related deaths have been greatly reduced. Willis Carrier is my summertime hero!